Of all the articles, images and words exploding across the web on the current Charles James exhibition at The Met in New York, this, above, by Tim Walker for Vogue US, May 2014, is my favourite – paying tribute to Charles James and Cecil Beaton within a completely contemporary framework. Fabulous. 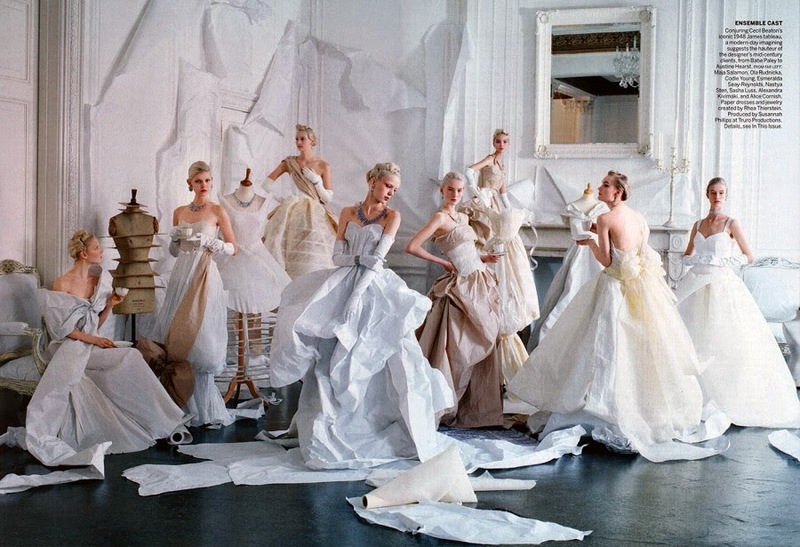 Compare: The original Cecil Beaton and Charles James image, top, to Tim Walker for Vogue, above.